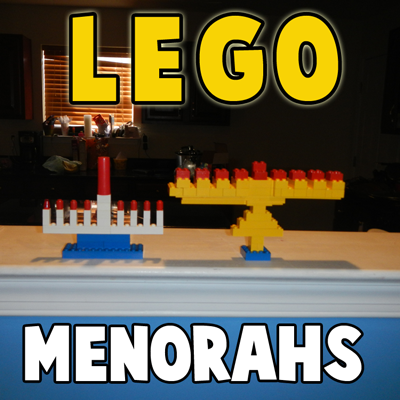 Aren’t these both awesome Lego Hanukkah Menorahs? They really are. Now, let’s look at a few from around the web. 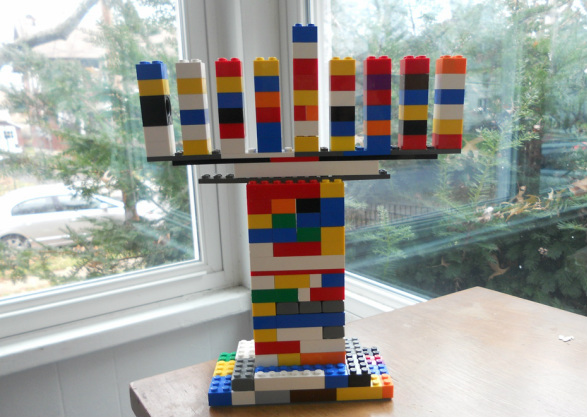 Wow, this Lego Hanukkah Menorah is pretty amazing…. it is taller than she is. I found this Lego Menorah over at Gadgets. 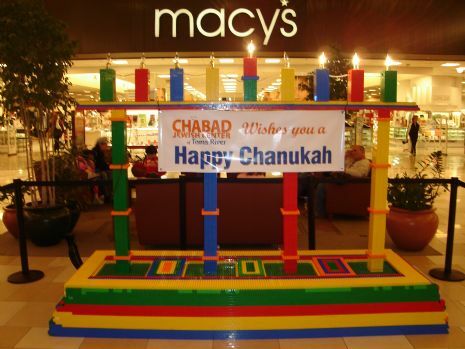 Here is a Lego Menorah I found over at ChabadHamilton.com. 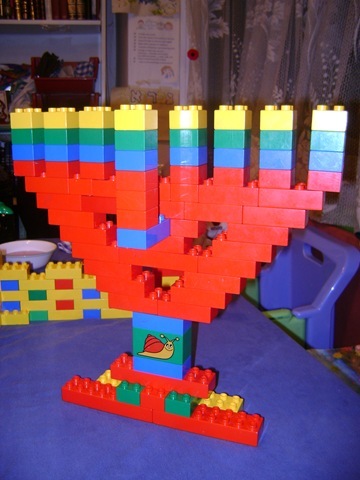 Here they use real candles in the Lego Menorah. I’m not real fond of this idea as legos aren’t meant to hold candles…. so please don’t try doing that at home. 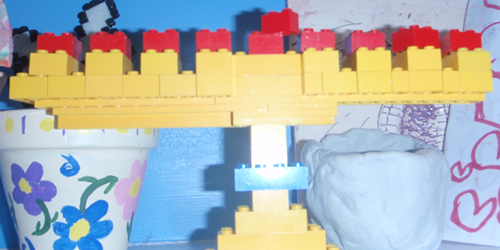 Here is a super colorful Lego Hanukkah Menorah. 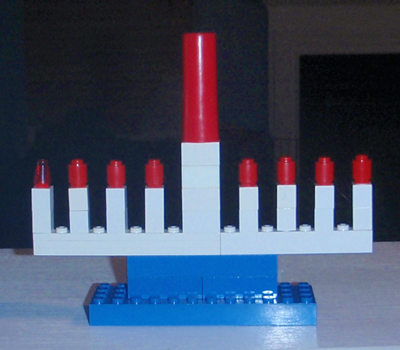 I found this Lego Menorah over at The Crumb Factory. She was on entertainment duty and made the Menorah with her kids. Doesn’t it look like there is a “happy face” in the middle of the Menorah? It looks that way to me. 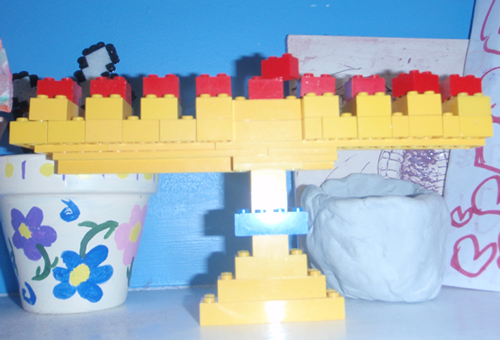 I found this Lego Menorah over at Rony Pony. I like the ideas here because not only did she make a Menorah, the kids did too. Go to the site to check out the other Menorahs. 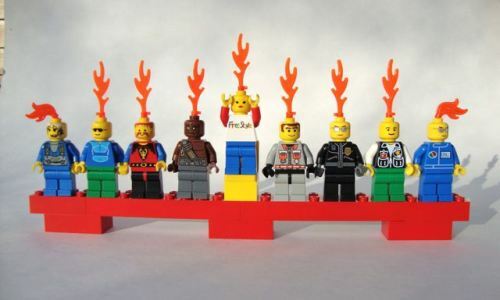 Here one clever lego maker used dragon flames to create a flamed Menorah look. I love it. 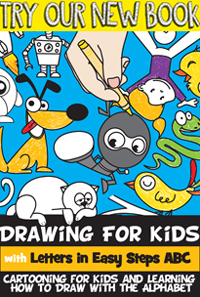 I found this unique idea over at Bible Belt Balabusta. It is really cool looking, but looks pretty easy to make. You should make one too. 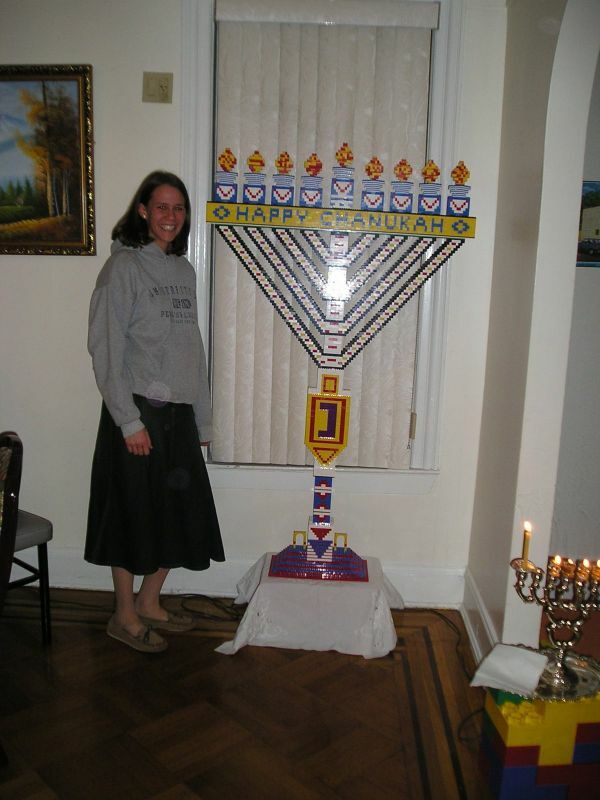 Here is one mammoth size Menorah…. and it made completely out of legos. It was built by children at the Ocean County Mall. It is amazing. 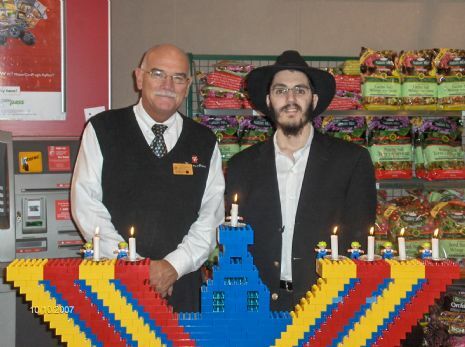 Not sure you have enough legos to make this, but I still think you should check it out at Chabad Jewish Center’s website.